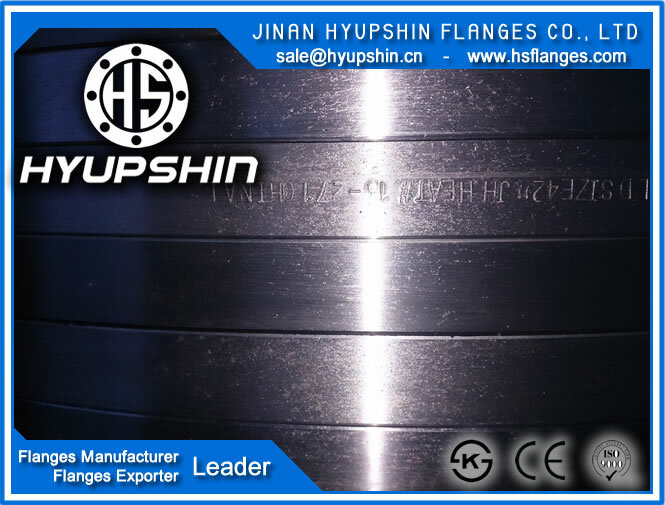 JINAN HYUPSHIN FLANGES CO., LTD supply AWWA C207 FLANGE, CLASS D, CLASS E, TYPE RING, BLIND, HUB, LAP JOINT etc, monthly output 2500Ton. 1) AWWA C207 FLANGE, CLASS D, SIZE 2" - 72", TYPE RING FLANGE, HUB FLANGE, BLIND FLANGE, LAP JOINT FLANGE, STEEL Q235B or A105. 2) AWWA C207 FLANGE, CLASS E, SIZE 2" - 72", TYPE RING FLANGE, HUB FLANGE, BLIND FLANGE, LAP JOINT FLANGE, STEEL Q235B or A105.